Stumbling out of our hotel into minus seven degrees of frost took our breath away. But it didn’t take our breath away as much as climbing up the mountain through the frozen heather and snow fields. 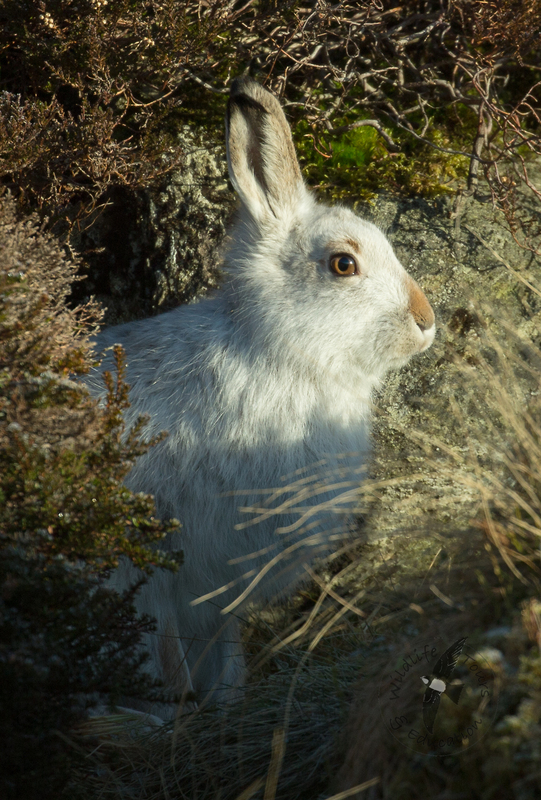 We must have seen twenty or more Mountain Hares last Wednesday on that crisp blue skied morning, but they weren’t easy to approach. As we ascended slowly up the gullies where the hares were basking in the sun the boggy ice cracked beneath our feet with the retort of a shotgun. Eventually one of these enigmatic animals hung-fast long enough to get a shot or two.